It's not a bird. It's not a plane. It's not a man. 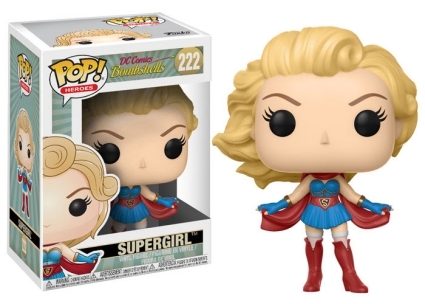 It's...Funko Pop Supergirl! Like her more famous cousin, Clark Kent, Supergirl is known by many names. Similarly, both she and her birth name—Kara Zor-El—are not of this earth. 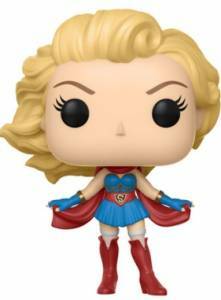 The initial Funko Pop Supergirl option features the blonde hero in the iconic red, blue and yellow costume with an "S" on the chest, much like Superman's spandex suit. However, the Girl of Steel naturally wears a skirt (because that makes the most sense when flying?) along with red boots. 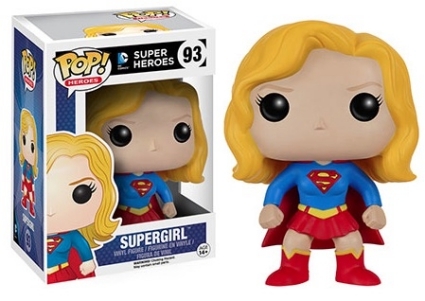 Order Funko Supergirl Figures on Entertainment Earth. Kara Danvers, a.k.a. 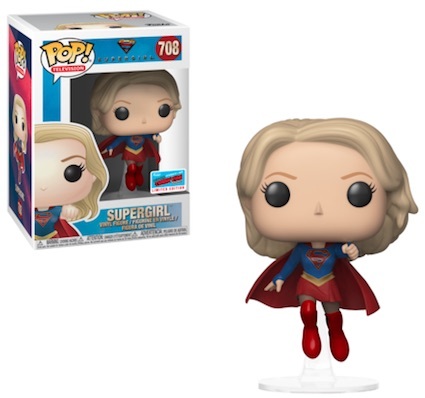 Supergirl, received a much-needed update with the Pop! DC Bombshells release. Displaying the pin-up style of the '50s, Supergirl poses with large curls that seem to be blowing in the wind in conjunction with her red cape. 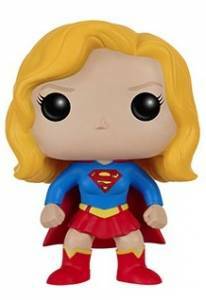 Although she is still dressed in a skirt, which is blue and slightly shorter, Supergirl has a more feminine look than her previous edition with the help of taller boots. There is also a sepia variant issued through Barnes and Noble. Supergirl made her first comic book appearance in Action Comics #252 (May 1959). While she has undergone several transformations since then, her stubborn will and the desire to help those in need remains intact. 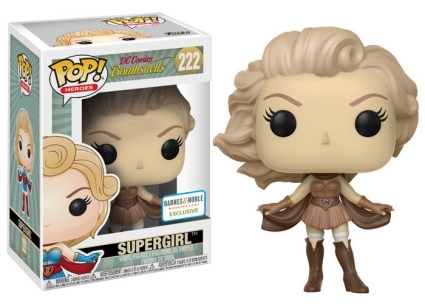 Check out additional Supergirl collectibles with our related guides.